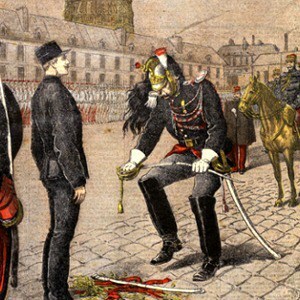 Dreyfus was found innocent and finally exonerated, in full, in 1906 - at which point he was reinstated as a major in the French Army. Autograph Letter Signed (“Alfred”), in French, 3 pages, quarto, Prison de la Sante, January 14, 1895. To his sister and brother-in-law, Henriette and Joseph Valabrègue. I will not tell you much about myself; what could I say that you do not already know. I suffer horribly from the infamy that has tarnished my name, I suffer atrociously to be here, powerless, incapable of doing anything to prove my innocence. My moral strength has never abandoned me, a pure and clean conscience will give me superhuman strength. I am convinced that we will manage to discover the truth, that light will be shed on the tragic affair. The prison inmate may only write to their close relatives/parents and guardians and may only do so ___ times per month unless there are exceptional circumstances. The prisoner may be temporarily prevented from receiving or sending mail. He may only write about family and personal matters. He is forbidden to ask or receive food or postage stamps. He may only ask or receive help if he has the express authorization of the Director. Help in the form of money must be sent to the prisoner in the form of cash in a registered letter or in the form of a postal check made out to the Prison's Accountant. Help other than money may only be small items for the body such as flannel vests, sweaters and socks. Outgoing and incoming mail is read by the prison's Administration which has the right to withhold the letters. Families may send letters directly to the Director, in stamped envelopes, and not by any other intermediaries. Visits take place in the visitors' room ___ times per ___ . Visitors must have a document proving that they are a close parent/relative. N.B. [nota bene] Families who address letters to the Director will have to place the letters to the prisoner in a separate envelope with the name and number of the prisoner. If I were in charge of finding out the truth, I am certain that I would succeed; my iron will would crush all the obstacles. I know Matthieu; what I say about him I can say about myself also. To say that I will not still suffer terribly to bear all this until it is over would be a lie. I will go everywhere with my head up, without weakening. I know well that it would have been easier for me to die. It would have been the end of everything, the forgetting of all suffering. But today I realize full well that such a death would have been an act of cowardice, I would thus have left a dishonored name to my children. Well, this name, I swear, as much as my strengths can help me, I will clean it from the stain that has been inflicted upon it unjustly. What I strongly recommend to all of you is to not bow your head, but to keep it higher than ever. With all of our combined efforts, our wills focused into a single one, we will succeed, I am sure. Give me some good news of yourselves.